In May 2015, one day after graduating from West Essex High School in North Caldwell, N.J., Jakub Adamowicz jammed the material portion of his life into every square inch of his car and drove for 22 hours straight to the FGCU campus. That’s how fired up he was to start his undergraduate career in a state he had visited only once before. Founder and CEO of RoomDig, which developed an app that helps college students find the housing and roommates that best fit them — the only real estate app exclusively for college students. An original class member in FGCU’s first Runway Program cohort, the Institute for Entrepreneurship’s student startup incubator. As a Forbes Fellow, he received a fellowship to attend the Forbes 30 Under 30 Summit, where he mingled with the world’s greatest entrepreneurs, visionaries and disruptors and picked their brains for secrets to success. Of course, this isn’t exactly how he had charted his master plan, which was to earn a master’s in architecture, move back to New York and work for his father or another company. And that’s the intrinsic beauty that Adamowicz treasures. He started at FGCU as a double major in civil and environmental engineering. On the side, he earned his real estate license at age 19 and quickly sold three properties. He saw the potential, but wanted to do more. After his freshman year, he found his calling in the Runway Program — in which students work on the development of a business idea and design a complete launch plan to start their business while still earning a degree. 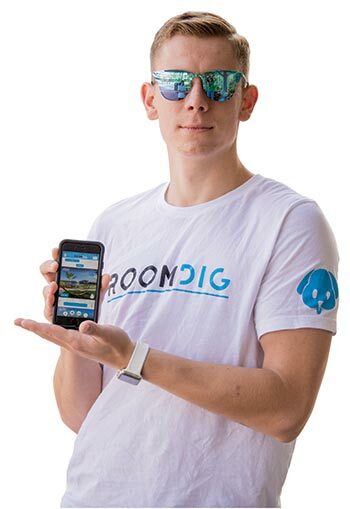 FGCU senior Jakub Adamowicz founded RoomDig, which developed an app that helps college students find the housing and roommates that best fit them. Adamowicz poured his heart into the Runway Program and came up with the idea for RoomDig. He canvassed the opinions of other students and realized he was onto something really big. But during his sophomore year — burdened by an inflexible schedule that wasn’t allowing him to develop RoomDig — he contemplated leaving FGCU. That’s when Dr. K stepped in. Sandra Kauanui, director of FGCU’s newly created Institute for Entrepreneurship, told him her story: that she dropped out of college and regretted it, even though she ultimately earned her undergraduate degree and Ph.D. after launching her business. He decided to abandon engineering, enter the entrepreneurship degree program and utilize its vast resources, along with Dr. K’s close guidance. Adamowicz continued to refine his RoomDig idea. 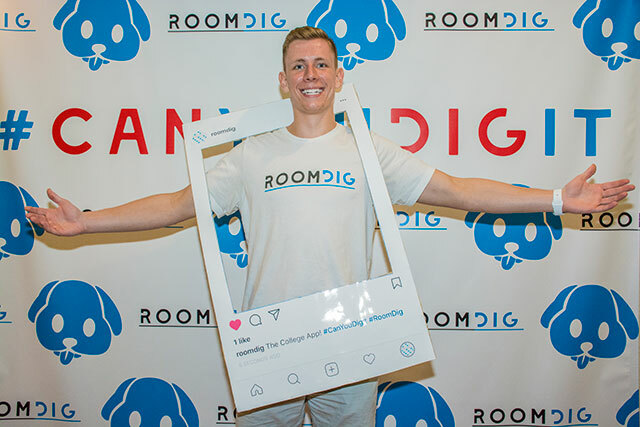 Then, using $8,000 he earned from the entrepreneurship pitch competition at FGCU and also from winning a pitch competition at the University of South Florida, he launched RoomDig late in 2017. Within four months, RoomDig had 4,000 users with a 60% active user rate. RoomDig ended up being accepted into the online version of Y Combinator’s Startup School, which has produced companies such as Airbnb, Dropbox and Reddit. And based on his experience there, Adamowicz gives FGCU’s entrepreneurship program the ultimate endorsement. In a one-year period, RoomDig won six pitch competitions, including the Florida Governor’s Cup, where it triumphed over startups from all the state universities, including those from Florida State University, which had received $100 million in funding over 10 years for its entrepreneurship program. Adamowicz says that after he graduates in 2019, his goal is to place RoomDig’s headquarters right next door to FGCU’s campus and take his creation to another level. None of this surprises Dr. K.
“He’s extremely passionate, has a purpose and is highly motivated,” she says. “He loves FGCU and loves the community that supported him. He’s one of our success stories in the entrepreneurship program. He has utilized every resource he could get here to help him move forward. “He keeps telling me, ‘When I make a lot of money, Dr. K, I’m going to give it back.’ To me, that’s a testament to him and his work ethic and how he feels about things. He really does totally appreciate it. I’m not sure he would have stayed in college if he had not had this opportunity in the program, because he was making money as a real estate agent. We were able to home in on all his skillsets and actually let him to “learn by doing” while he was in school, and that made a big difference.